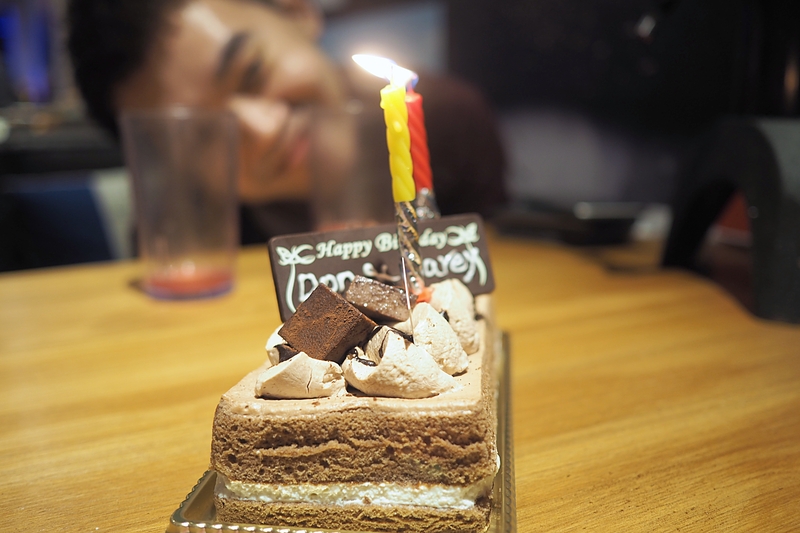 Back in the month of September, my friends (Poly Year 3 Clique) celebrated my belated and Garey's birthday in advance. You know as we grow older, we tend to pretty much used up all the tricks up our sleeves and we sort of got not much creative juices left. That's why when these years we just forgo all the "surprises" and just straight up ask what the birthday boy/girl want for their birthday. This year, my friends manage to find a cool place to hang out and have our dinner at. Unlike your usual dining restaurant. 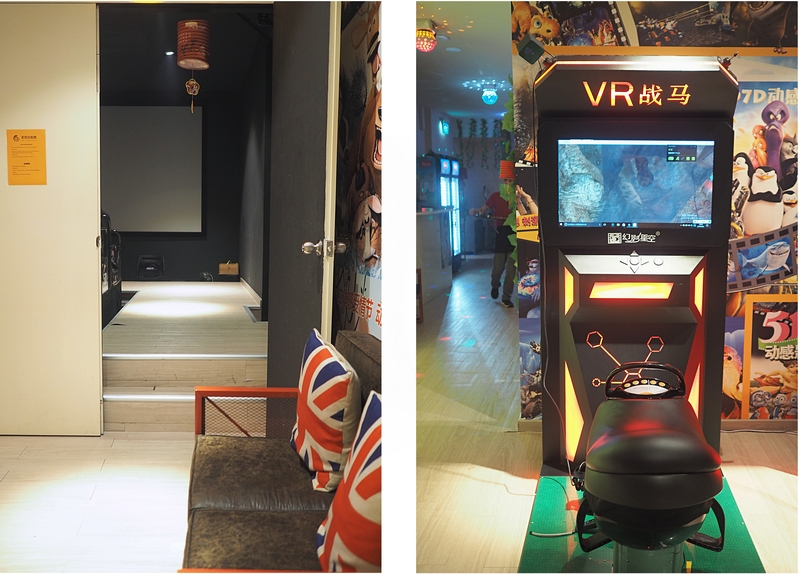 This place offers you 9D VR Games and 5D Cinema rides. The variety they had is kind of limited I would say. 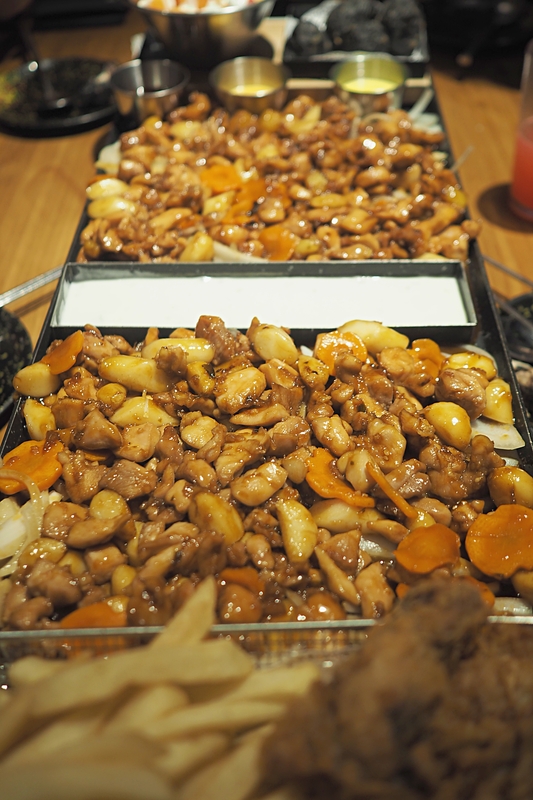 There's nothing much to choose from their menu because it all varies around the same thing, just that the quantity they offer is different. We ordered 1 Juice Tower whereby we can choose the type of juice from their menu. 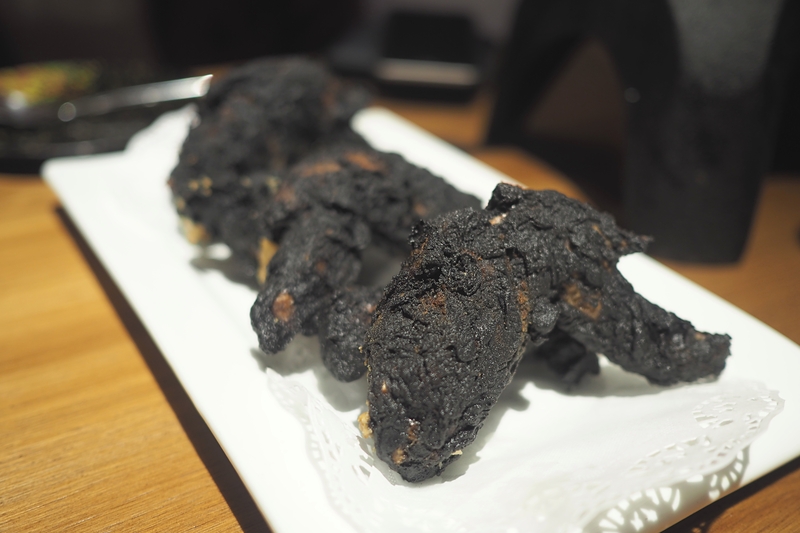 We also ordered their Mexican Fried Chicken which came as a shock to us because it's our first time hearing such flavor, and the appearance doesn't tally to what it sound like. LOL! 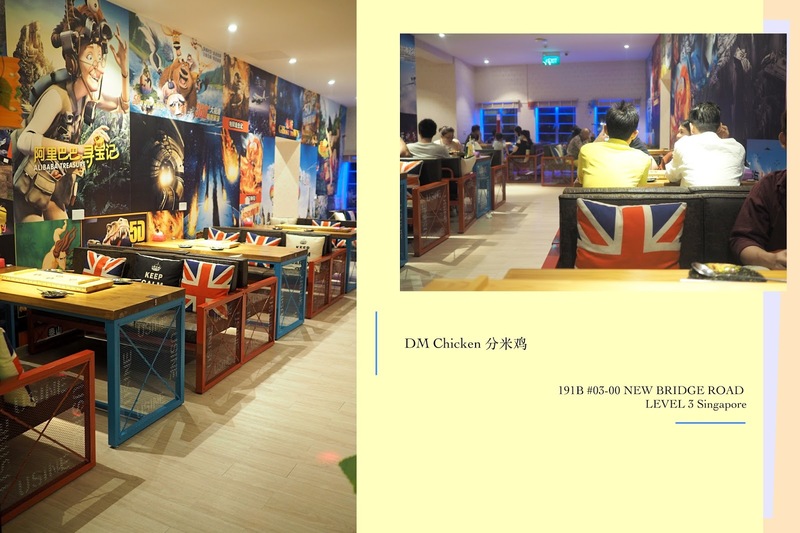 We also ordered the 75cm DM Chicken which consists of 900grams of chicken, chips, salad, cheese, korean fried chicken, and korean crab. For 4 person I must say, it is quite worth the money. We were all very full after that and the restaurant was kind enough to give us a complimentary Rock Melon Cube after our dinner. (Because we celebrated our birthday there) They will also play those birthday songs like how Fish&Co. Pizza Hut does. You know, those corny cheesy birthday songs where the restaurant staff will present to you the cake and sing along and stuff. LOL YEA! EMBARASSING!!! Hahaha! The place is definitely worth the visit. If you haven't, give it a try. Some may like it and some may not. For me, I don't think I will give this place a visit anytime soon because of the variety they offer. But in terms of concept and taste wise, I think its not bad for the price.